I have eaten great salads at restaurants and I have eaten absolutely flavourless, boring salads at restaurants… this one is towards the great end but not the absolute best 🙂 Hey – I am being honest! Combine all the dressing ingredients in a blender on high-speed and blend until smooth. 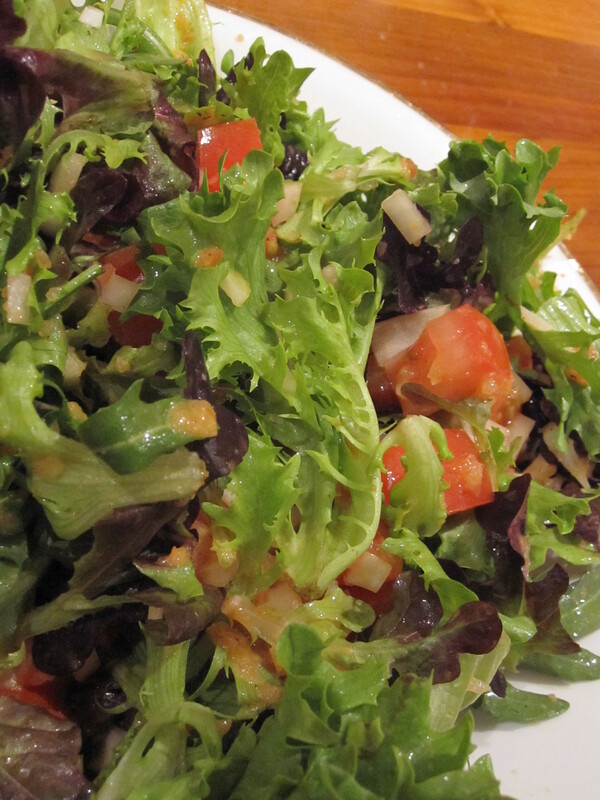 In a large bowl toss together the salad leaves, tomato, onion and dressing until well coated…. Another great recipe from Amber!